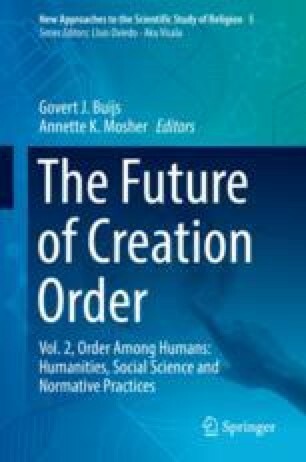 Generally, where scientistic attitudes towards the order of creation tend towards the reductive, postmodern attitudes tend towards the deconstructive. The given order of beauty tends to be made problematic. The surface of things is often invested with an equivocity that, whether reductively or deconstructively, we can only approach with epistemic-ontological suspicion. In the following reflections I focus on the connection between given beauty and the order of creation in light of issues connected to this. Beauty itself is inseparable from some sense of formed wholeness. Is there is a givenness to beauty in nature which belies the (postmodern) claim that order is just an imposition of (our) power on flux? The notion of creation is inseparable from the origination of order, but the order comes to be, arises from originating sources that allow forms of beauty to be that are more than our determination or self-determination. Something marvelously original comes to be, comes to shine. There is a shine on things. But what shines on things when we come to appreciate their given beauty? Is it just our shine on things, as if we were the sole source of light? Is it the shine of things, as if the things were luminescent in their own being there? Is it a shine on things, such that the source of the light was not just ours, nor confined to the thing of beauty? These questions will be explored.